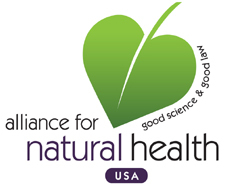 ANH-USA: Tell the FDA to Inform Consumers of the Mercury in Dental Fillings! Mercury is a known neurotoxin, yet mercury fillings presents one of the largest consumer consumption of mercury worldwide, and dental amalgam represents the largest use of mercury in consumer products in the US. Call on the FDA to implement truthful, transparent labeling of mercury fillings, which will allow our country to keep its commitment to the Minamata Convention—and will educate the public about what they’re putting in their mouths. Please customize your letter if you have the time! Section 502 of the Federal Food, Drug and Cosmetic Act (FD&C) is quite clear: The FDA's job is to stop companies from misbranding or mislabeling heathcare products and punish them when they do. This law defines mislabeling as "incorrect, inadequate or incomplete identification." The FDA, however, has been unwilling to require consumer labeling for dental amalgam products, nor education about mercury-based dental fillings. Most Americans don't know that the chief component of "amalgam" is mercury, a neurotoxin. If those critical consumer protections under Section 502 were in place for dental fillings, the FDA and the dental industry would no longer be permitted to call mercury-based dental fillings something as incorrect as "silver," or as inadequate and incomplete as "amalgam." Americans have been deliberately misled, and polls show that a majority are quite confused about what their dentists are putting in their mouths. Please fix the problem! Immediately extend the FDA's basic protections against misbranding and mislabeling to mercury-based dental fillings so Americans can have correct, adequate, and complete information with which to make informed decisions for themselves and their families when they visit their dentists. Amalgam manufacturers, such as Dentsply and Danaher/Kerr, should be required by the FDA to provide truthful patient labeling. Please rewrite the FDA amalgam rule to remove language encouraging the phase-up of amalgam use and replace it with language and action supporting the effective reduction of amalgam use, as called for by the Minamata Convention.